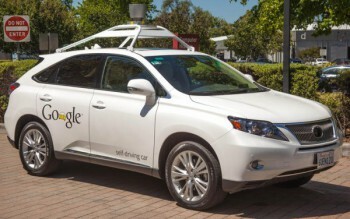 Curious about the new self-driving car phenomenon? We’ve uncovered some facts for you to ponder. While self-driving cars might be more efficient on the roadways, they might not be as efficient in fuel economy, according to a recent study. University of Michigan in Ann Arbor researchers argue that since autonomous vehicles will be making more trips, more often, they will consume more energy than cars driven by humans. In most US households, each adult run errands, commutes and shuttles the kids separately. For a self-driving car to complete the same tasks, it will likely make more trips which results in greater fuel usage. For example, the autonomous car might drop off one parent at work before returning home to pick up the other. After that trip, it would then take the kids to school and return home before restarting the cycle in the afternoon and evening. Calculations by University of Michigan researchers Brandon Schoettle and Michael Sivak show that increased sharing could mean 43 percent less cars on American roads but they will be used 75 percent more. However, there are a couple caveats that may make these cars of the future more efficient all the way around. Autonomous vehicles will be better at conserving fuel because they operate more efficiently than humans. This may help balance out the increased usage. There’s also the possibility that a vast majority of self-driving cars will be electric vehicles, which makes is a win-win situation. What are your thoughts? Comment below!